Last year, I’ve been awarded as a Citrix Technology Professional (CTP) and I’m really proud for being renewed this year. This article will try to sum up this year. The first weeks as a CTP are exciting as you have a lot of information to assimilate in a short period. Perrine, the CTP Community Manager, gives us all the details we need. The good thing is that it’s all about community, the “newbies” are warm-welcomed by the other members and we received a lot of “tricks” from them. 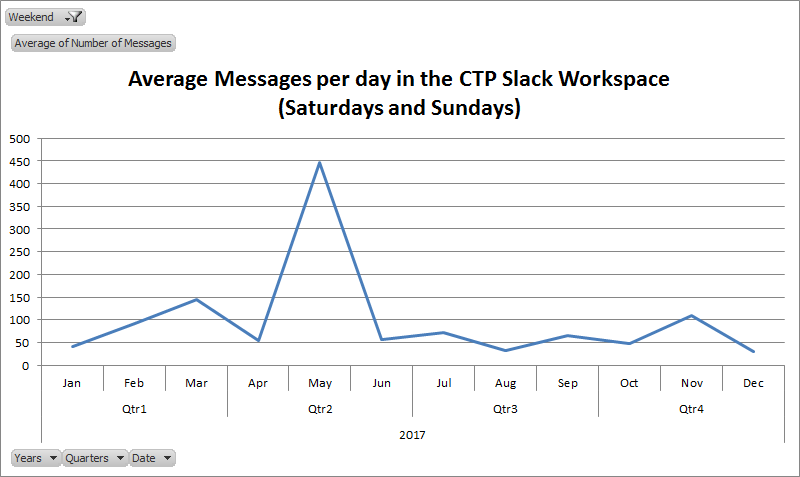 More than community, the CTP is a family, the Slack private channels are used as much as for personal topics like weddings, born as for business ones. We share (almost) everything! 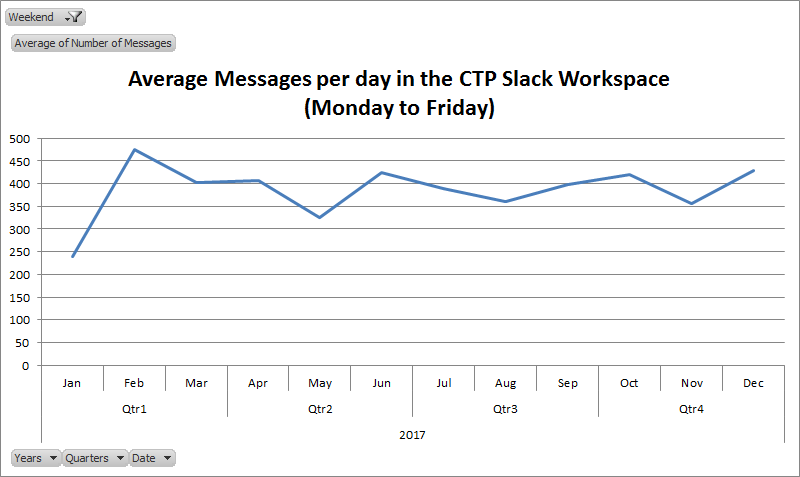 As you can see, there is no pause during the weekends and there is a peak on May due to a Sunday with more than 2900 messages. As you may know, Citrix organizes its conference called Synergy during this period and the CTPs met each other during a “face to face” meeting with the different Citrix Product Managers and C*O. That’s a HUGE thing as you have the strategic and technical vision for the next month/years directly. It’s also really interesting because during this meeting, you met the people you are talking to everyday through virtual channels, and you can finally put a face to a nickname/avatar. My daily commute time is around 1h30 so it’s about 7h30 per week or more than 16 days for the entire year! Sounds crazy, isn’t it? On top of that, we have some G2M (GotoMeeting) with the different Citrix teams (from the support to the product managers) where we discuss about the future of the products. This year, we had 42 of them (almost one per week!). Can’t wait for this new exciting year and see you soon!